Tiraz: Widad Kawar Home for Arab Dress, is a non-profit cultural foundation and research centre dedicated to collect, preserve and promote the disappearing Arab Textile Heritage. 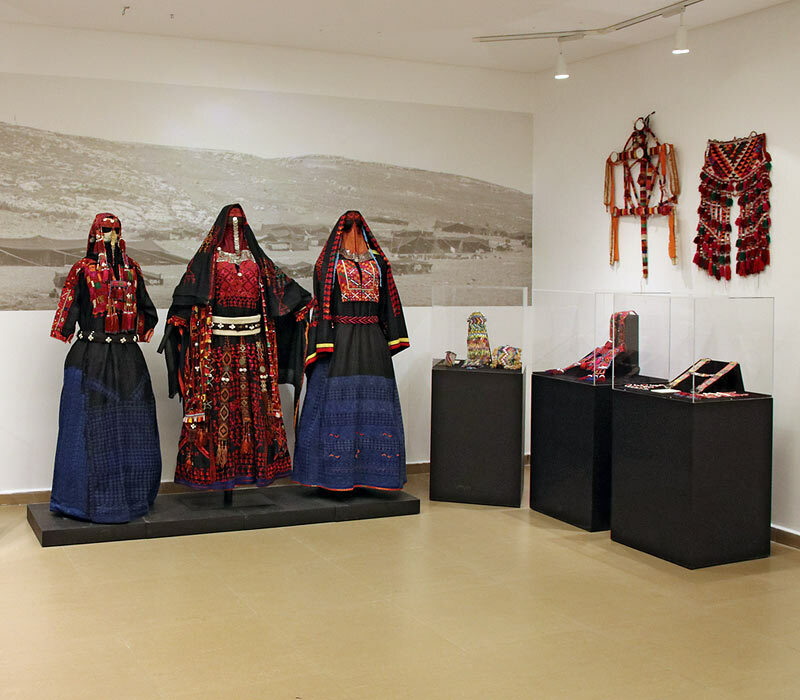 Established by Widad Kamel Kawar, born in Tulkarem, in the Nablus area of the West Bank, and created over the course of a lifetime, the collection includes more than 2,000 costumes from the 19th and 20th century, including weavings, home utensils and jewelry. The Widad Kawar collection represents a story of human beings, and a form of history itself, woven in thread, where precise information on social morphology, on the cross-fertilisation between Jordanian, Palestinian, Syrian, Bedouin and other Arab cultures, as well as geographical and other ethnographic details have been encoded in a visual language. The Center is also commited to revive traditional handicrafts, working with local experts and organisations, organizing specialized workshops. 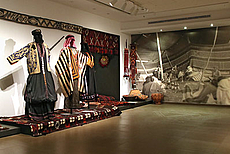 Tour to different sites and art venues in Amman, reaching Tiraz collection of traditional costumes.